Meet Me Tonight in Chicago! Hello! 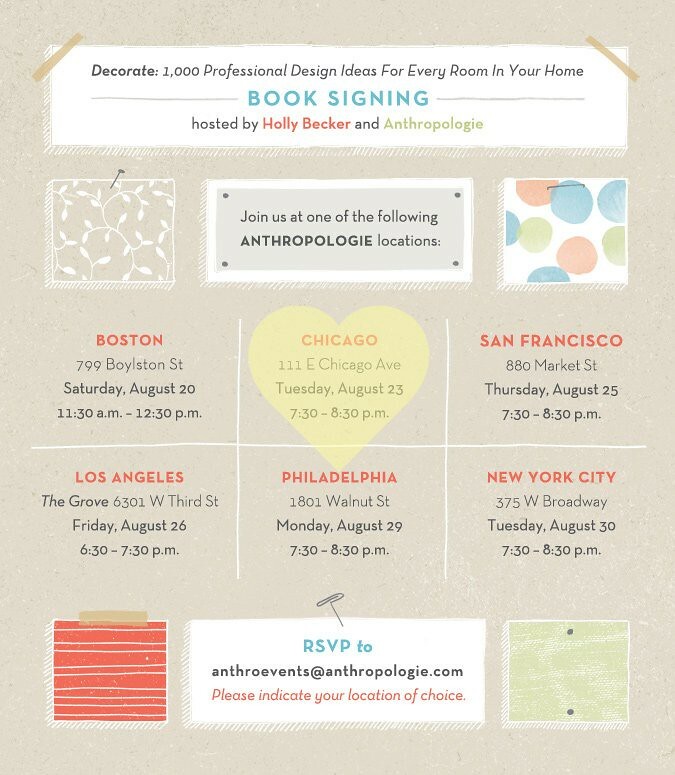 I'm in Chicago on stop #2 of my Decorate US Book Tour and tonight I'll be doing a workshop and hanging out with the locals at Anthropologie on 111 E. Chicago Ave. (across from Marshall Field's). See below for your invitation - if you can RSVP please do, but if not, the event is open to the public so you can get in with no problem! The mood board event at 6:30 is full but you can arrive after that to hang out with all of us, get your book signed and enjoy a fun, creative night together at Anthropologie. See you tonight Chicago! I also can't wait to introduce you to my very special guest - you'll love her I'm sure!